An early example of ancient Indian plant classification is found in the Rigveda, a collection of Vedic Sanskrit hymns from about 3700–3100 BP. Plants are divided into vṛska (trees), osadhi (herbs useful to humans) and virudha (creepers), with further subdivisions. The sacred Hindu text Atharvaveda divides plants into eight classes: visakha (spreading branches), manjari (leaves with long clusters[clarification needed]), sthambini (bushy plants), prastanavati (which expands); ekasṛnga (those with monopodial growth), pratanavati (creeping plants), amsumati (with many stalks), and kandini (plants with knotty joints). The Taittiriya Samhita classifies the plant kingdom into vṛksa, vana and druma (trees), visakha (shrubs with spreading branches), sasa (herbs), amsumali (spreading plant), vratati (climber), stambini (bushy plant), pratanavati (creeper), and alasala (spreading on the ground). Other examples of early Indian taxonomy include Manusmriti, the Law book of Hindus, which classifies plants into eight major categories. Elaborate taxonomies also occur in the Charaka Samhitā, Sushruta Samhita and Vaisesika. ^ Needham et al 1986. ^ a b Jacobson 2014. ^ a b Conan 2005, p. 96. ^ Conan 2005, pp. 121, 123. ^ Bethencourt & Egmond 2007. ^ Helmsley & Poole 2004. ^ Willes 2011, p. 76. ^ Goldgar 2007, p. 34. Huff, Toby (2003). The Rise of Early Modern Science: Islam, China, and the West. Cambridge: Cambridge University Press. ISBN 978-0-521-52994-5. Stafleu, Frans A. (1971). Linnaeus and the Linnaeans. Utrecht: International Association of Plant Taxonomy. ISBN 978-90-6046-064-1. Fahd, Toufic (1996). "Botany and agriculture". In Morelon, Régis; Rashed, Roshdi. Encyclopedia of the History of Arabic Science. 3. London: Routledge. ISBN 978-0-415-12410-2. Greene, Edward Lee & Egerton, Frank N. (ed.) (1983a). Landmarks of Botanical History: Part 1. Stanford: Stanford University Press. ISBN 978-0-8047-1075-6. CS1 maint: Extra text: authors list (link); originally published as Greene, Edward L. (1909). 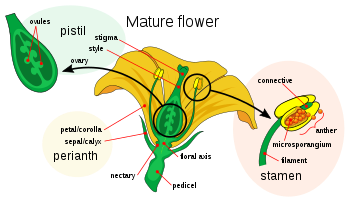 Landmarks of Botanical History 1. Prior to 1562 A.D. Washington: Smithsonian Institution. OCLC 174698401. Henrey, Blanche (1975). British botanical and horticultural literature before 1800 (Vols 1–3). Oxford: Oxford University Press. ISBN 978-0-19-211548-5. Morton, Alan G. (1981). History of Botanical Science: An Account of the Development of Botany from Ancient Times to the Present Day. London: Academic Press. ISBN 978-0-12-508382-9. Vavilov, Nicolai I. (1992). Origin and Geography of Cultivated Plants. Cambridge: Cambridge University Press. ISBN 978-0-521-40427-3. Woodland, Dennis W. (1991). Contemporary Plant Systematics. New Jersey: Prentice Hall. ISBN 978-0-205-12182-3. Shteir, Ann B. (1996). Cultivating women, cultivating science: Flora's daughters and botany in England, 1760-1860. Baltimore: Johns Hopkins University Press. ISBN 978-0-8018-6175-8. Retrieved 18 February 2015. Tomasi, Lucia Tongiorgi; Hirschauer, Gretchen A. (2002). The flowering of Florence: botanical art for the Medici. 3 March-27 May (PDF) (Exhibition catalogue). Washington: National Gallery of Art. ISBN 978-0-85331-857-6. Stafleu, Frans A.; Cowan, Richard S. (1976–1988). Taxonomic literature: a selective guide to botanical publications and collections with dates, commentaries and types. 7 vols. + VIII supplements (2nd ed.). Utrecht: Bohn, Scheltema & Holkema. ISBN 9789031302246. Vavilov, Nicolai I. (1951). trans. K. Starr Chester. 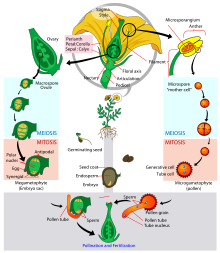 "The Origin, Variation, Immunity and Breeding of Cultivated Plants". Chronica Botanica. 13 (6): 1–366. Bibcode:1951SoilS..72..482V. doi:10.1097/00010694-195112000-00018. Shteir, Ann B. (2007). "Flora primavera or Flora meretrix ? Iconography, Gender, and Science". Studies in Eighteenth Century Culture. 36 (1): 147–168. doi:10.1353/sec.2007.0014. This page was last edited on 18 March 2019, at 12:32 (UTC).